I came to CTCA because I like the collaborative, individualized care we deliver. 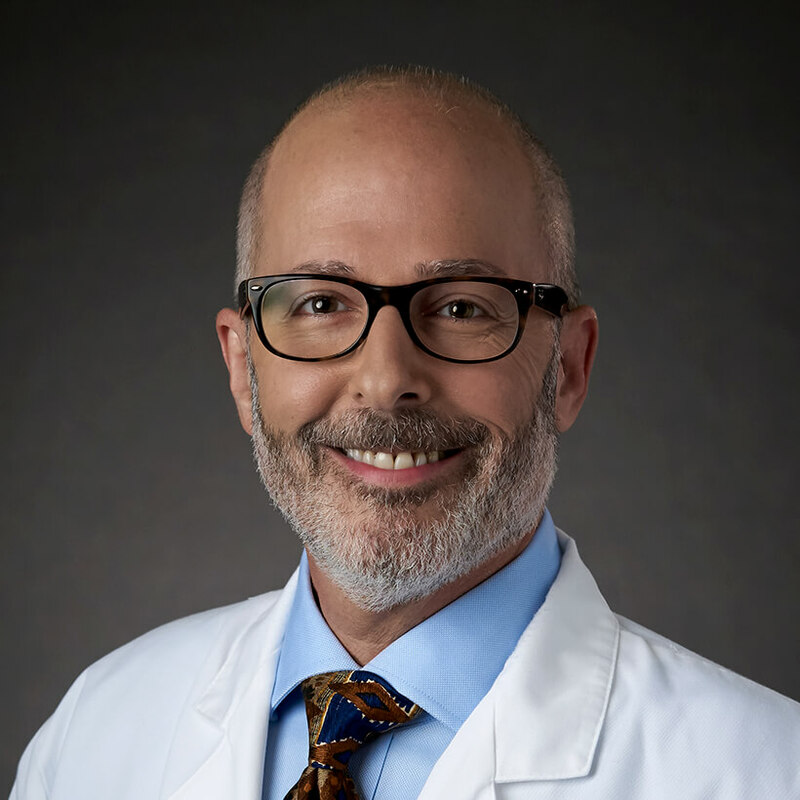 Dr. Gary Bernstein, Chief of Surgery at Cancer Treatment Centers of America® (CTCA), Atlanta, has a diverse background in clinical care, management and teaching. In 2012, he joined CTCA® as a General Surgeon and the hospital's Medical Director of Surgical Assistants. A practicing surgeon since 1991, Dr. Bernstein spends most of his time at CTCA helping other surgeons perform complex operations. He says he enjoys working with our most challenging patients. “They rarely have simple, common problems, yet they are so grateful for the time we spend with them,” Dr. Bernstein says. A three-time graduate of Emory University in Atlanta, Dr. Bernstein earned his Bachelor of Arts in Chemistry in 1982, his Doctor of Medicine in 1986 and his Master of Business Administration in 1997. He completed his residency in general surgery – serving as chief resident – at Emory University Hospital between 1986 and 1991. Dr. Bernstein began his career in 1991 as a General Surgeon in private practice. He practiced at Emory University Hospital Midtown, known as Crawford W. Long Hospital at the time, and Piedmont Atlanta Hospital until 1994. During that time, Dr. Bernstein served on the medical Records Committee and Board-level Strategic Planning Committee. He also chaired the Nutrition Committee. Dr. Bernstein served as Interim Director of Surgical Education at Emory University’s Department of Surgery at Piedmont Hospital between 1997 and 2000. He oversaw all aspects of resident rotations at Piedmont Atlanta Hospital, handled accreditation through the Accreditation Council for Graduate Medical Education, and directed educational and peer review conferences. Dr. Bernstein is certified by the American Board of Surgery and the National Board of Medical Examiners. He also is a Fellow with the American College of Surgeons. Dr. Bernstein has been a member of the American Medical Association, the Medical Association of Georgia, the Medical Association of Atlanta and the American College of Physician Executives. Born and raised in New Jersey, Dr. Bernstein moved to Atlanta to attend Emory University and has lived in the city since then.